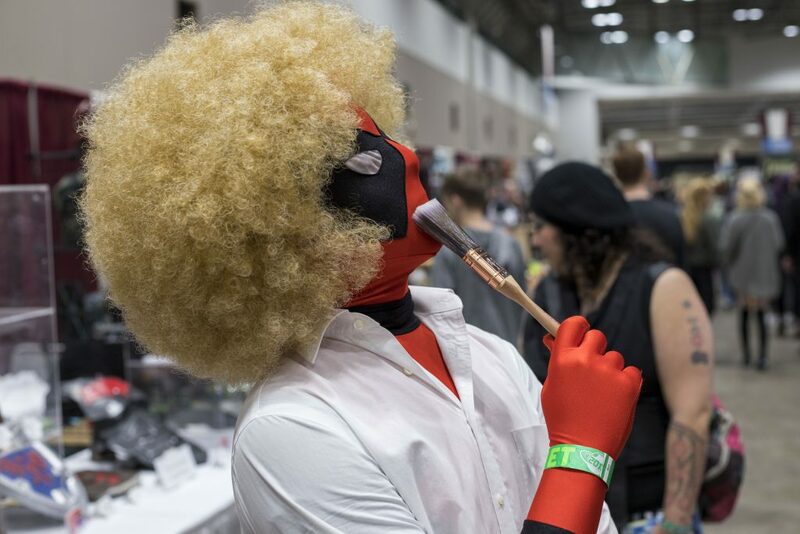 Planet Comicon was not my first con of the year. I know I probably should have covered Wizard World STL, but it was a bit of a letdown to be completely honest. It feels like the ghost of what Wizard World STL used to be. The ticket prices go up every year and apparently so does the price of a booth. I heard stories about issues certain groups had with even getting a presence there. Several artists and organizations that have been there every year were suddenly absent… and I certainly noticed. Don’t get me wrong, I enjoyed myself. I got to meet Dan Fogler, see some of my favorite local artists, and hang out with all of my wonderful con friends… which are certainly worth way more to me than the price of admission! Much like my transition between Wizard World STL and C2E2 in my 2017 con coverage, I was absolutely blown away by all that Planet Comicon had to offer! I really regretted missing it last year, and I am so glad I made the trip this year. It is a definite must for anyone in the Midwest. Due to work schedules, we had to miss Friday. I was able to schedule some days off to give myself a buffer (I guarantee I would have fallen asleep at work on Monday if I hadn’t), but my fellow photographers Tom Ricks and Justin Staggs weren’t so lucky. So we got to Kansas City shortly before 9pm on Friday. We checked into our AirBnB, which was absolutely awesome. We had the entire third floor of this house to ourselves! Headroom was quite limited as the bumps on Justin’s head could attest to, but it was a nice place nonetheless. A video producer by day, relentless crime-fighting nerd by night, Stephen Heineman is on a constant journey to find the balance between the mundane and the insane. He has an affinity for building ideas; wit and imagination are his tools. Being a comedian by nature, he lives to bring smiles to every path he crosses.